The shoes we choose to wear on our feet have a greater impact that you may think on the health of your feet, your exercise habits, and overall health. It is especially important to invest in a pair of good running shoes, due to the impact that the ground has upon your feet and joints when your feet hits the ground. A good pair of running shoes will not only help you run more efficiently, but will be better for your foot health in the long run and encourage you to press forward in your running. When purchasing shoes, you should keep in mind the movement you take as you walk or run. Typically, your heel will hit the ground first, and then roll slightly inward as the arch flattens against the ground to minimize joint impact. After, your foot will roll outside and tighten to spring forward, up into the air. However, each individual’s running style is different, depending upon the angle that the foot hits the ground. Different running styles will require different types of support to help minimize ground impact and improve bounceback efficiency. Pronation. The foot will naturally roll inward after the heel hits the ground. Pronation minimizes impact on the joints as you run. This is normally the trait of efficient runners. Overpronation. The foot rolls inward more than normal, which is a common trait that can harm a runner’s knees and joint over time. Overpronation leaves runners at risk of injury. Most runners are in this category, which makes it important to find a comfortable shoe to minimize impact. Supination. Also known as under-pronation, the foot rolls outward instead of inward. As a result, there is insufficient impact when the runner’s foot hits the ground. This is a less common trait than the first two, although it still requires attention in order to find the right shoe for your foot. How do you know which running style you use? There are two ways you can find out what is your running style. First, you can visit a physical therapist or podiatrist, who will inspect your foot and determine your foot motion when running. Or, you can look at your older, worn shoes in the closet. The natural wearing of the soles will indicate how you run. Pronation. There will be greater wear on the ball of the foot and a smaller portion on the heel. Overpronation. There is greater wear on the inner edge of the shoe. Supination. Opposite of overpronation, there will be greater wear on the outer edge of the shoe. What type of running shoes should you get? You’ve established the motion your foot takes when running. Now, you need to find the right type of shoe to fit you. Stability shoes for pronation. Stability shoes help decelerate pronation. Suitable for both neutral runners and those with mild to moderate pronation, they often contain a “post” in the centre to stabilize the midsole. Motion control shoes for overpronators. These shoes have stiffer heels or straighter lasts in order to counter overpronation. Motion control shoes are ideal for runners who exhibit moderate to severe overpronation. Cushioning shoes for supination. These types of shoes provide an elevated shock absorption and minimal arch support. Cushioning shoes are good choices for supinators and mild pronators. They are also a good option for pronators for off-pavement running. With the different types of running styles in mind, we will take a look at some of the popular types of running shoes , and how they perform in terms of comfort, style, and running efficiency. Ideal for runners with a neutral to overpronating stride, the Gel-Kayano 20 offers both stable support and stretch. Its heel clutching system provides support and comfortable fit for the heel. Cushioning systems attenuates shock at the time of impact and toe-off. 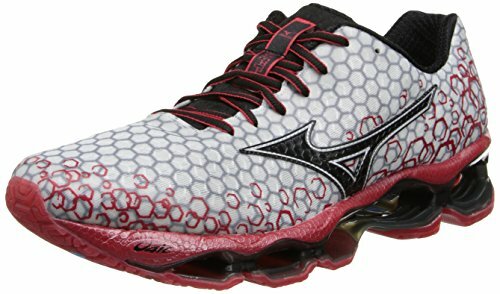 This brand of shoe also relies upon its FluidRide technology to allow runner’s feet to bounce back and provide cushioning to reduce weight. These shoes are known for being very comfortable and do not require much breaking in. 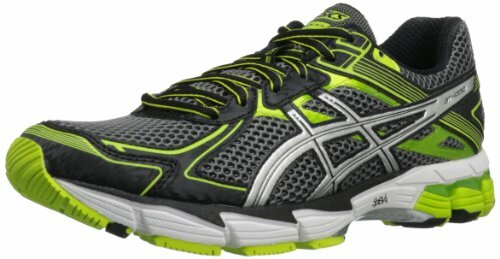 The GT 1000 2 is an excellent choice for runners with mild to overpronation. This shoe provides great stability and cushioning to protect the foot, as well as midsole support. The foam in the midsole improves bounceback upon impact. 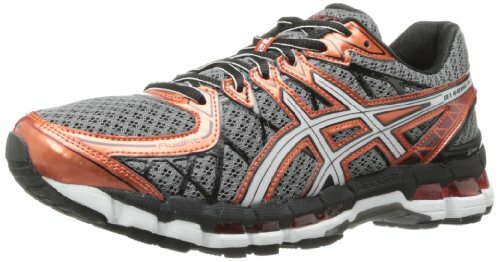 This model is slightly narrower than other ASICS shoes, which is something to keep in mind when purchasing. For its pricing, these shoes provide great value. 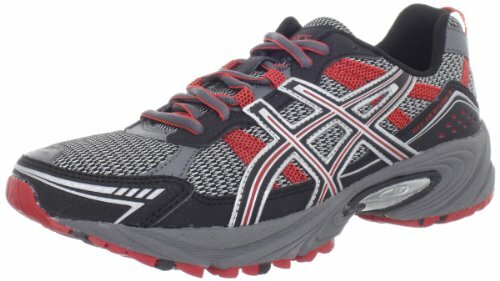 They are incredibly comfortable and are a great gift for a runner. The foam insole is removable, providing an option in terms of fit and cushion. The GEL-Venture is a strong choice for trail running, due to the thick cushioning and outsole designing specific for trails. The Wave Prophecy 3 provides all-around cushioning, lessening the impact upon knees and joints. The U4ic (euphoric) foam technology decreases the shoe weight provides flexibility to accommodate a runner’s stride. The transparent materials used provide a hexagonal formation that adds a skin-like component to the shoe. If you have experienced issues with joint discomfort and pain, these shoes are a great fit and very comfortable. 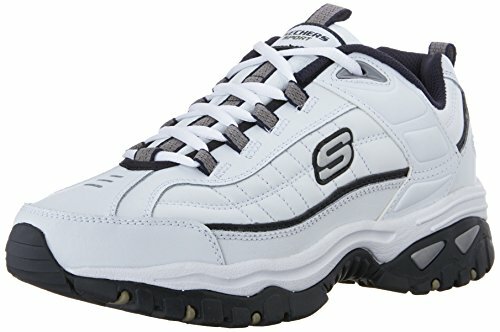 The Skechers Energy Afterburn Lace Up provides a more casual look to a shoe that is made for serious running. The non-slip rubber outsole provides great traction to increase running efficiency. They provide comfort throughout the shoe with the padding in the tongue and collar for added shock absorption. They also add a bounce to your step, helping you run better.